Ryan Reaves is well aware of the line. The line that he doesn’t cross often. Sure we just watched him serve a goofy 10-minute jousting misconduct with Joe Thornton but overall as a Golden Knight he’s been disciplined. This season Reaves played the second most games (80) in his career and had the second least penalty minutes (74). And, of those 74 minutes, just 24 came on minor penalties, meaning Reaves is rarely the reason for an opposing power play. But, can he amp up the physicality in the playoffs and continue to stay out of the sin bin? In the postseason, checking gets questionably cleaner but definitely more impactful. Reaves can become more valuable in the postseason by his forward pressure. If #75 can stay clean and remain out of the box, it’ll allow more offensively skilled teammates the ability to clean up his line’s forechecking crumbs. Another way Reaves can impact a series is his continuous wearing down of opponents. In a long series his vicious body checks, out-muscling players, and bruising puck battles along the boards will eventually start to add up. In 46 career postseason games, Reaves has accrued only 41 PIMs. Last year, Reaves’ PIM number ballooned in the playoffs as he spent 18 minutes off the ice. 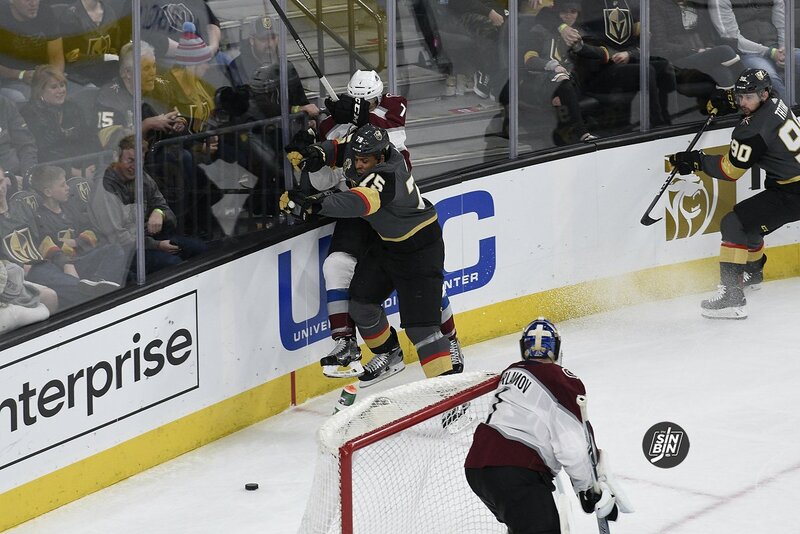 However, 10 of them came from a misconduct call with less than a minute left in a Cup Final game the Golden Knights trailed by 4. While it’s a cute, made for TV type storyline, Reaves will not be circling the ice searching for Brent Burns or Evander Kane’s blood. Nor is he told to protect his team from a physical guy like Michael Haley, should he play. No, Reaves is prepared to effectively check any opponent off the puck, create turnovers and hopefully score. He is told to play his game. And in Reaves’ mind, his game is made for the postseason.